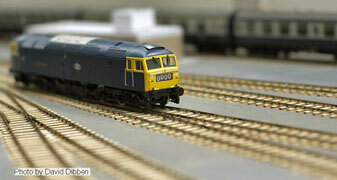 Western Road fits firmly in the category of railway modelling as a means of evoking childhood memories. In this case, trainspotting around the Bristol area during the late l970s: the blue/grey era, the last throes of the Westerns, long hot summers. 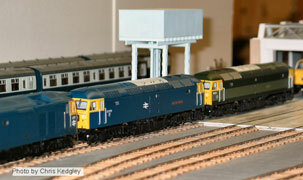 Well 1976 was long and hot, class 50s were displacing the Westerns and train headcodes were all set to 0000. The exact location of the depot is vague. Devon or Cornwall certainly and if pressed I envisage Western Road as how Long Rock, Penzance might have looked if reconstructed in the 1960s. There is nothing very original about the plan for Western Road since locomotive depots, in all shapes and sizes, have been modelled many times before. 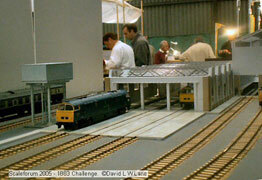 Yet, they are sometimes cramped into a small space when, in reality, depots take up a lot of real estate. I have tried to create a feeling of space in the plan and also avoid something too long and straight. 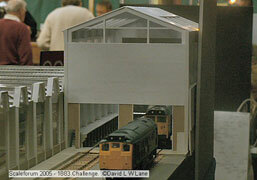 The main shed and repair shop are inspired by parts of Bristol Bath Road and Laira depots. If there is an unusual aspect to the plan, it is that the background to the layout is formed by two complete trains stabled in the carriage sidings. This should provide both an interesting backdrop and somewhere to store those Bachmann Mark 1s. Locomotives on view will be those typical of the period and location: classes 08, 25, 45, 46, 47, 50 and 52. Western Road is intended to convey a normal diesel depot on an ordinary day.